Pocket watches came on the scenes in 16th century and are still popular today. 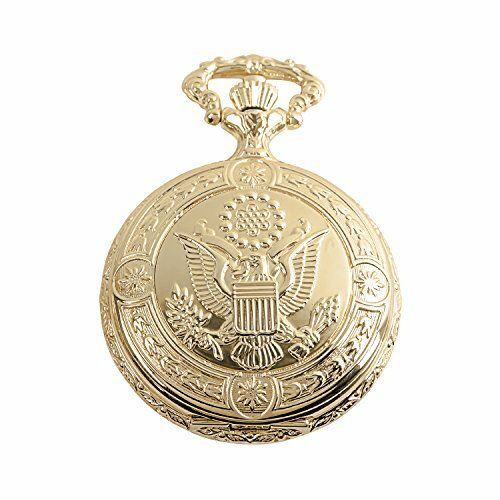 We bring you a beautiful vintage style hand-made hunter pocket watch with choice of engraved American Eagle design. This classic pocket watch is quartz, with white dial with black roman numerals and day date windows. Measures 1 and ¾ inches in diameter with a 14 inch pocket watch chain length. 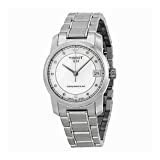 An elegant timepiece for any gentlemen; perfect gift. 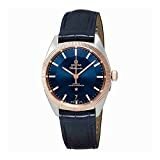 Using the finest materials finished to the highest standards, Timepieces International has developed an impressive range of watches that provide a purposeful, visual statement. These beautiful products are available at astonishingly low prices, often costing less than a quarter of the recommended price. You may ask how we can offer such quality at such low prices? The answer is beautifully simple: we cut out the middleman. This means there are no retail overheads to pay and not the usual mark up to make which can be enormous on luxury watches.